US Food Policy and Culture has been my absolute favorite course in the Gastronomy program, and I’m a little afraid that it can’t be topped. Topics that we covered in class included the Farm Bill, the National School Lunch Program, organics, GMOs, obesity, hunger, local foods, and so much more, all with a focus on U.S. Food Policy. I have always had an interest in these topics, but it was very valuable to learn the intricacies of how various branches of the government regulate them, as well as the role that private intuitions or non profit organizations play. As a Dietitian with a strong interest in US Food Policy, I was also extremely pleased that this course introduced me to a multitude of organizations working to make good food available to all. Ellen Messer taught the course, and is the same instructor that I took Food Policy and Food Systems with last semester. It was structured similarly to her previous course, with biweekly short assignments, a commodity paper midterm, and a final. Dr. Messer’s passion for eliminating hunger came across in this course as well, but it hit much closer to home as we focused on the US rather than looking at food issues internationally. 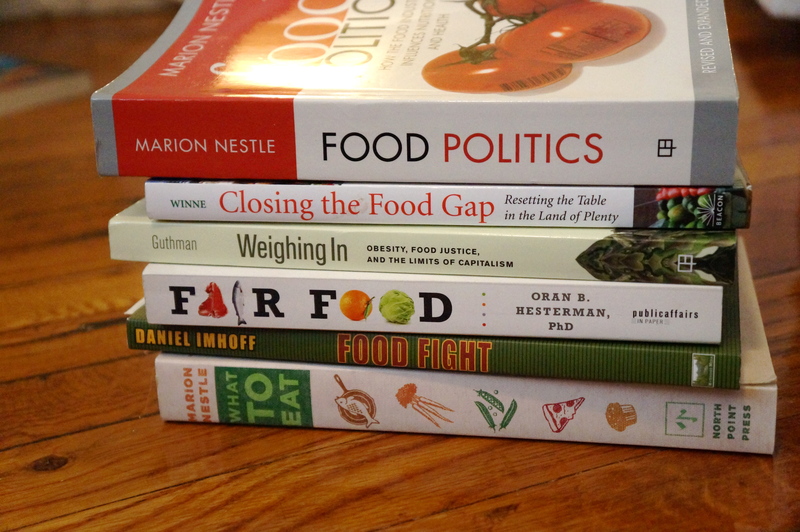 I am a huge Marion Nestle fan, so I was excited that her Food Politics book was a major contributor to the course, in addition to a chapter from What to Eat. 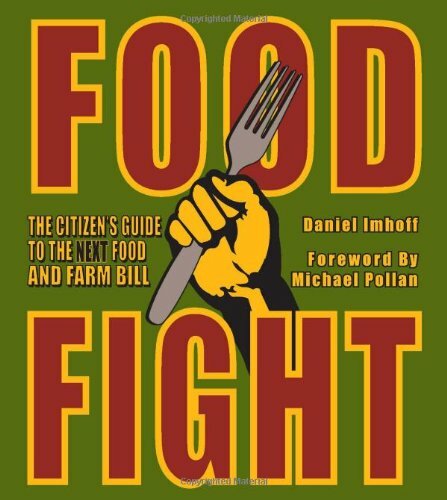 Another great resource was Dan Imhoff’s Food Fight, a great introduction to the Farm Bill. 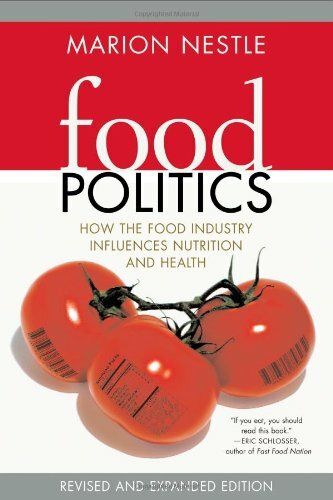 For those of you that would like to learn more about US Food Policy, I highly recommend starting with Marion Nestle’s book. But all of the books I read for the course were excellent, and you should read them all if you get the chance. Not pictured is The End of Food, by Paul Roberts, a book that was also recommended in Ellen Messer’s international course last semester. When most people imagine what hunger looks like, they imagine emaciated children with protruding bones and bare feet, likely to be found somewhere in war-torn Africa. But what if you saw a child that was overweight, or even obese. Could that child possibly be hungry? If they are obese, surely they are getting enough to eat, right? This is one of the problems with identifying hunger in America. Although these problems appear to be contradictory, hunger and obesity are actually very closely related. How so? People experience hunger for many reasons, but almost all of them can be traced back to poverty. Some people simply cannot afford food, or have budgets so tight that they do not know where there next meal is coming from. When they do buy food, they are looking to fill themselves up. Junk foods are cheap, easy, and offer immediate gratification. This explains the paradox of why many people shopping at food pantries appear overweight, rather than emaciated. In addition to financial access to food, some people lack physical and geographic access. While not incredibly common, a population of America’s poor lives trapped in what is known as a food desert. For these people, there is no accessible supermarket. Fresh produce (and often frozen produce) is out of the question. While canned vegetables, dried beans and whole grains may be available; many of America’s poor don’t know what to do with these foods, or how to combine them into a satisfying meal. Processed snack foods are cheap and have extremely long shelf lives, making them attractive choices to people that suffer from hunger or food insecurity. Simply put, empty calories are much easier to come by. Looking for more information on this topic? 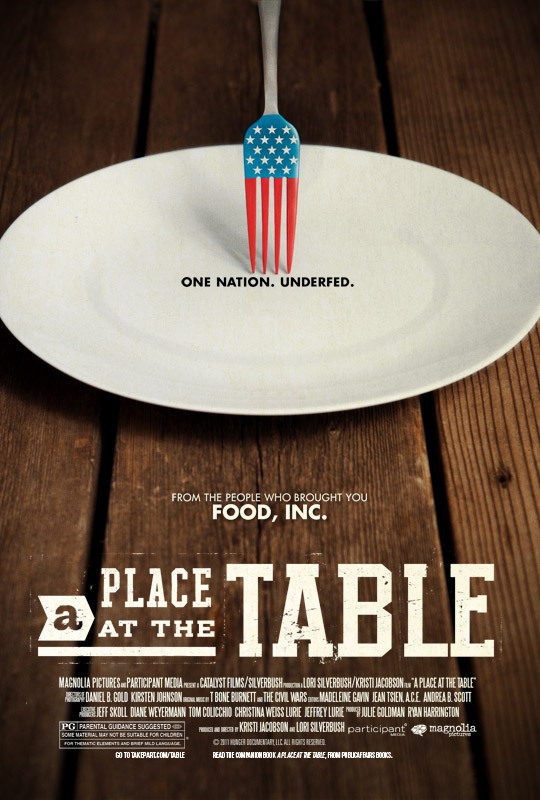 I highly recommend A Place at the Table, the new documentary film that came out about a month or two ago. The film explores problems of poverty and food security across America, and gives excellent examples of how obesity and hunger are so closely related. Another resource regarding the paradox of hunger and obesity is the book Stuffed and Starved, by Raj Patel. I haven’t read it yet, but it is definitely on my list. Lastly, here is a USDA interactive map to find food deserts in America. This week, scholar, activist, and sociology professor Janet Poppendieck visited BU for a lecture titled Universal Free School Meals: An Idea Whose Time Has Come. I am embarrassed to admit that when I first saw the advertisement for this lecture, I interpreted it to mean that Poppendieck thought that the time was up for school lunch, and that school lunch was perhaps a fruitless pursuit. Thankfully, I read Poppendieck’s new book, Free For All: Fixing School Food in America, and quickly discovered that I was wrong. Poppendieck’s central argument is that a universal free lunch would help to alleviate many of the ills associated with school food, and she gives well-researched examples of why this may be. Admittedly, the book started off as a repetition of things that I already knew about the school lunch program. School food today is often frozen and prepackaged. Menu choices are often carnival foods such as fries and pizza. The history of the school lunch program as a commodity program has allowed it to become this way. However, Poppendieck’s discussion of the problems with means testing and the tiered eligibility system in chapter 7 introduced a new wave of thought to me. Poppendieck argues that the 3-tiered system breeds resentment and cheating, and also creates problems that interfere with the purpose of the program. To this point, I knew that students in the reduced price category oftentimes do not have enough money to pay even the reduced price. However, I was surprised to learn that 21% of families with very low food insecurity (formerly known as food security with hunger) have incomes too high to qualify for free or reduced price lunches. This shocking statistic is surely the sign of a broken system. While universal free lunch might sound fine and dandy, the biggest question I had was about how a multibillion-dollar program like that would get funded. Luckily, Poppendieck did address the financial issue. “There is no such thing as a free lunch, but how we pay for it is a social choice,” she said to the audience. While her book, written at the peak of the economic downturn, mostly focused on federal funding programs, Poppendeick’s lecture included evidence that states can also play an important role. She gave recent case studies of universal free programs in both Vermont and West Virginia, and also discussed the effects of recent legislation, such as the Community Eligibility Option under the Healthy Hunger Free Kids Act. Poppendieck also emphasized the importance of integrating the lunch hour into the school day as a way to promote better health and a place to learn social skills and etiquette. “The cafeteria is our largest classroom,” Poppendieck said, quoting an educator from Vermont. Chapter 8 of Poppendeick’s book also gives several inspiring examples of schools that are using the lunch hour as a learning tool and a jumping off point for hands on education. Whether or not you think that universal free is the right direction to go (I’m still on the fence about the whole funding issue), I highly recommend Janet Poppendieck’s book. It is a great summary of all of the factors affecting the school lunch program today, and gives an excellent history of how it came to be for those that are interested but don’t have much experience with the program. After being fortunate to converse with Poppendieck both before and after the lecture (and get my book signed! ), I am now interested in reading her other two books: Sweet Charity? Emergency Food and the End of Entitlement and Breadlines Knee Deep in Wheat: Food Assistance in the Great Depression. To learn more about the challenges facing the lunch program, as well as the progress that has been made, see my previous post about school lunch. Going through school and training to become a Registered Dietitian, I was conditioned never to use the words “good food” or “bad food”, in fear that this might give someone an unhealthy relationship with food (becoming obsessive or orthorexic), and also to emphasize that all food can be incorporated into a healthy diet, so as not to turn people away. But if all food can be incorporated into a healthy diet, why can’t we just call it what it is? Junk food. This part of my schooling always bothered me, and after reading Marion Nestle’s Food Politics, I feel that this “no bad food” ideal permeated from a much higher level than from my instructors. Due to pressure from the food industry, the USDA is also conditioned not to identify “good foods” or “bad foods”, and I argue that this is where some of the dietary confusion in America comes into play. The US Government attempts to provide the American public with trusted dietary information through the 2010 Dietary Guidelines for Americans and the new MyPlate (formerly a food pyramid). As a nutrition professional, I think that MyPlate is a great teaching tool, and really opens eyes up to just how important fruits and vegetables are. The only time that I find MyPlate difficult to work with is when explaining breakfast, as vegetables are only easily incorporated into omelets, and don’t go well with other traditional breakfast foods such as cold cereal, pancakes, oatmeal, or fruit and yogurt. Making produce the star of the plate was a bold move by the USDA, and will hopefully change the way that Americans conceptualize their meals. This is a huge shift from the “meat and potatoes” culture of the past. Marion Nestle points out in Food Politics that what research finds to be “healthy” (fruits, vegetables, and whole grains) has not changed much at all over the last 50 years, so the fact that most Americans are confused about what to eat is evidence of a muddled system. It is difficult for the government to advise our obese population to “eat less”, when those are the very words that the industry forbids them from using. Nevertheless, I do think that MyPlate’s emphasis on produce is a step in the right direction. Other culprits for confusing the American public are the food advertisers. Not only have advertisers taught us that junk foods are not “bad foods”, they succeed in highlighting the trendy nutrients that their products are fortified with, making them appear as healthful choices. Meanwhile, the real healthful choices, fresh fruits and vegetables, are excluded from high budget marketing campaigns and are left labeless on store shelves. In Food Fight, Dan Imhoff argues that this is in part due to the fact that fresh produce is considered a “specialty crop”, and does not receive the subsidies or technological advances that commodity crops such as corn and soy (the building blocks of junk food) are privy to. Again working against the “eat less” mentality are the manufacturers of snack foods. In a post depression and food ration nation, the idea of going hungry between meals has become not only unpopular, but downright un-American. I agree with Cutler, Glaeser, and Shapiro, that snack foods are a driver in generating obesity. 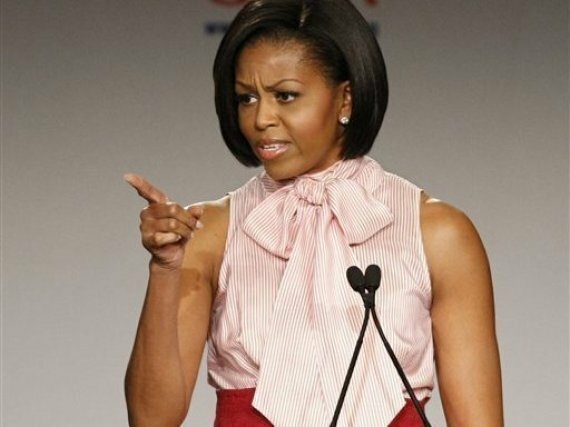 Michelle Obama’s 2009 remarks at the Grocery Manufacturers Assn. Conference were spot on, as she clarified to grocers that “it doesn’t mean is taking out one problematic ingredient, only to replace it with another… This isn’t about finding creative ways to market products as healthy… it’s about producing products that actually are healthy”. What she fails to mention is that the healthiest products have already been “formulated”, and they can be found in produce stands across the nation. In short, I do not think it is the government’s place to “tell” people what to eat, as “telling” people what to eat implies lack of freedom, something that Americans are quite turned off by. Rather, I think it is the role of the government to provide American citizens with unbiased sources of dietary information based on the latest research, and to create a marketplace where healthy choices are just as easy to make (if not easier) than unhealthy choices.